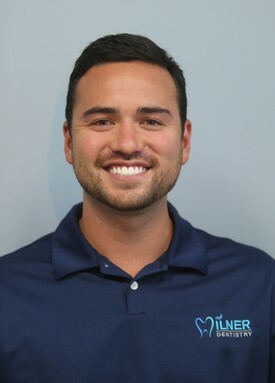 Dr. Ty D. Milner is joining his father to continue the family practice and more importantly to continue providing quality oral health care to existing and new patients of Milner Dentistry. “One of the most enjoyable parts of being a dentist is the ability to work with so many different people. While doing so, I try to build a one-on-one relationship with all of my patients and use a patient first approach. I also believe that patient education is of utmost importance, please do not hesitate to ask any questions. Dr. Ty began his educational journey at Benedictine University at Springfield, formerly known as Springfield College in Illinois where he was a part of the College’s baseball team, the Springfield Bulldogs, and earned his associates degree in 2006. From there, he went on to major in Integrative Biology at the University of Illinois while also being a part of the Fighting Illini baseball team, graduating in 2008. Immediately after graduation, Dr. Ty enrolled at the Southern Illinois University - School of Dental Medicine, his father’s Alma-mater, where he received his Doctor of Dental Medicine degree in 2012. In the summer of 2011, Dr. Ty took part in the Jamaica Humanitarian Dental Mission trip that was organized by the faculty, staff and students of SIU-School of Dental Medicine. In his free time, Dr. Ty enjoys golfing, catching ball games, being active in his community and spending time with family and friends. 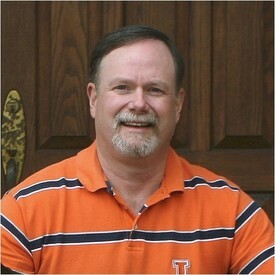 In July 2012, Dr. Ty married Kasey Milner (Seaman) of Mattoon, IL. He and his wife have two children, Karsyn and Griffin. Dr. David A. Milner has been practicing dentistry for over 30 years. Throughout his career, Dr. Milner has provided his patients with very high quality oral health care and has created an atmosphere that patients are comfortable in. Dr. Milner graduated from Springfield High School in 1976. He began his undergrad at Lincoln Land Community College and finished his last two semesters at Southern Illinois University in Carbondale in 1979. After just three years of undergraduate studies, he was accepted into the Southern Illinois University - School of Dental Medicine in Alton where he graduated in 1983. After graduation, Dr. Milner went on to serve as an officer in the U.S. Army Dental Corp for three years where he was stationed in Fort Lewis, Washington. During his 3 years in the Army, he had two children, April and Ty. Once his active duty came to an end, Dr. Milner moved his family back to central Illinois where he established his practice in 1987. During his leisure time, he enjoys hiking and fishing, and is quite active in the local youth sports especially baseball. You can also find him on the sidelines of most sporting events in Rochester where he enjoys his hobby in sports photography. He is also a member of the American Dental Association, G.V. Black Dental Association, and the Springfield Lions Club.